A Texas farmer's battle to keep the Keystone XL oil pipeline off her property is only the most visible of what some legal experts describe as a rising tide of property-rights cases across Texas. The case of Julia Trigg Crawford versus the Keystone XL oil pipeline will soon return to the headlines. Crawford, a northeast Texas farmer, is fighting to keep TransCananda, the pipeline’s owner, from invoking the right of eminent domain to cross her property. A Lamar County judge ruled against her last month, but Crawford says she plans to file an appeal soon — probably to the state’s 6th Court of Appeals in Texarkana. “We feel good about a panel of judges” hearing the case for the court, she says. 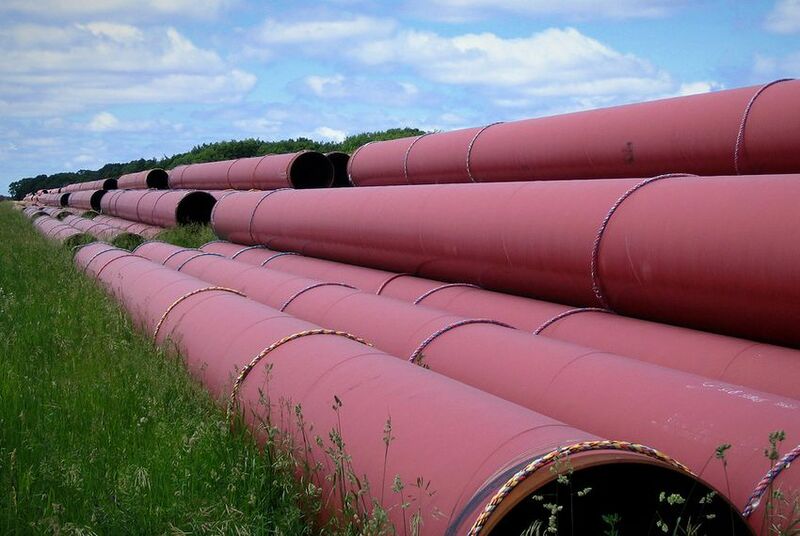 Eminent domain rules, the issue at stake in the Crawford case, allow pipelines or other utilities to cross the property of unwilling landowners (who get compensated). Texas has thousands of pipelines, but the Keystone XL has drawn national attention because it would transport an especially dirty form of oil, a prospect that infuriates environmentalists. But Crawford’s case is only the most visible in what some legal experts describe as a rising tide of property-rights cases across Texas. Just last week, the Texas Supreme Court handed down four decisions on land-use issues, including a ruling that allows the city of Austin to take over a downtown block belonging to lawyer Harry Whittington for use as a parking garage and chilling station. “There is a lot more activity [on property-rights cases] down at the trial court level,” says Renea Hicks, a lawyer who worked on the city of Austin’s case. The burst of activity stems from basic economic changes. The hydraulic-fracturing boom has increased oil and gas activity around the state, creating demand for more pipelines that cross private property. The wind-power boom, similarly, has resulted in the construction of major transmission lines in rural areas. Demographics also play a role, according to Matthew Festa, an associate professor at the South Texas College of Law. Texas’ population is growing quickly, and “the more neighbors you have, the more controversies [arise],” he says. That tension is evident in cities as well as rural areas; as an example, Festa cited the long-running clash in Houston over plans to build a 21-story luxury tower, known as the Ashby high-rise, in a residential neighborhood. Finding patterns in the way the Texas courts rule is more challenging. Partly that’s because the cases often hinge on specifics. “Land-use cases are pretty fact-intensive,” Festa said. The four property-rights-related Supreme Court decisions released Friday all went against landowners, though they were on different topics, ranging from the city of Beaumont's right to demolish a neglected building to a dispute over the admissibility of expert testimony and land values at the site of a natural gas processing facility. Terry Jacobson, a Corsicana lawyer involved in a case (also decided Friday) involving plans for swampland on the site of a potential future reservoir in Titus County, described it as "Black Friday for pro-property rights.” Some earlier decisions, he said, had gone in the other direction. “Many lawyers who are involved in property-rights litigation had sensed maybe a positive trend in some of the more recent opinions of the court, but the results of last Friday suggest that perhaps our optimism was premature,” Jacobson said. Major land-use cases that have drawn recent public attention include a beach-access case, in which a property owner won the right to keep the public off the beachfront after erosion had propelled her house essentially onto the beach. Another landmark case, decided in February by the Supreme Court, held that landowners own the groundwater beneath their land. On eminent domain, legal experts cite two recent cases of particular importance. One, decided in August 2011, involved an East Texas farmer who contested the right of a company called Denbury to use eminent domain to build a carbon-dioxide pipeline across his land. He won, and the Texas Supreme Court refused several times — most recently last month — to rehear the case. Crawford thinks she can win her case — and do so while bringing more public attention to the issue of eminent domain. “I’m hopeful that what we’re doing is at least shining a light on these loopholes and these flaws in the system,” she said. Another court battle to watch for, says Festa of the South Texas School of Law, will be challenges over a state law on eminent domain passed last year. He cited no concrete case, as yet, but the law, Senate Bill 18, strengthened some requirements for companies seeking to use eminent domain powers. “That will be interesting to see which way [the Texas Supreme Court goes] on that,” he said.